Call Today & Book your Event! Ask our brides and special event clients and they will attest that smiles always follow the unveiling of a bouquet or banquet room designed by Enchanting Creations. Since 1995 we have been passionate about designing floral arrangements, whether they be bouquets, centerpieces, or entire rooms. Our attention to detail is apparent, our love of the process is apparent, and our ability to mold current trends in design into your unique vision is apparent in each project we accept. Let us see the sparkle in your eye and the tears of happiness that follow once you view your dream coming true. You might just assume that your flowers will arrive in bloom and looking healthy. Only after you have seen or unfortunately experienced a floral arrangement delivery lacking these traits do you appreciate our talent. Enchanting Creations takes a number of steps to insure that your flowers arrive as you expect. Our initial appointment instructs our clients on which flowers will hold up best in the heat or winter cold. We make sure that all our flowers are properly hydrated. This is a 5+ step process and we never cut corners. We make sure to protect the flowers before they are exposed to extreme weather conditions. Most Event Planners are not florists by trade. They know a bit about flowers, but not everything needed to make sure your arrangements present perfectly. 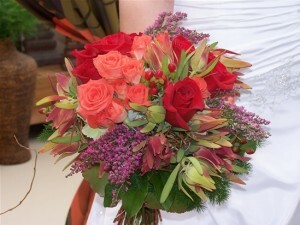 You need an educated florist with years of experience that knows how handle all floral mishaps. 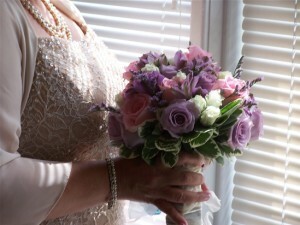 Enchanting Creations only uses professional florists to work with your event planner. From the moment you choose us as your florist we take away the stress of communicating your decoration and flower arrangement set up with your planner. We work hand in hand with your planner until the very end of your event so that all floral detail and timing is known and worked into the master plan. 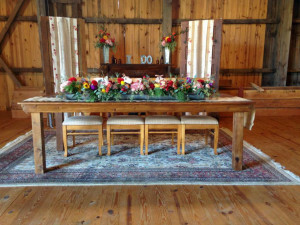 Does your planner know what to do if an arrangement hits the floor while setting up? Not only can we fix the fallen arrangement, but we know what to do if a boutonniere stem brakes or a corsage is sat upon. These issues are best handled by a florist and we take pride in helping your event planner shine. Do you see your event venue listed below? We have provided centerpieces, decorations and bouquets to hundreds of clients over the past few decades. Enchanting Creations has a large service area covering three counties. Below are our most common destinations. Sill call us even if your location is not listed.